Over the past few decades, the college application process has gotten increasingly complex and competitive. You want the best for your college-bound student, but with standardized tests, lengthy applications, and financial worries, where do you even start? To help simplify the process, we’ve compiled some useful tips and advice. It’s much easier than it seems — we promise! Help your College-Bound Student find resources that will allow them to do well on the SAT/ACT. Most colleges, though not all, require standardized test scores as part of their general application. During sophomore year, and sometimes during junior year, students will take the PSAT, or Preliminary SAT. In addition to potentially qualifying them for a National Merit Scholarship, this test can be a good way to see where their strengths and weaknesses lie. Fortunately, there are a number of free online resources that can help students strengthen their skills in a particular area! If you know that your child isn’t generally a good test-taker, they can always make their application stand out in other ways. For instance, it can be beneficial to encourage them to enroll in a couple of courses at the local community college over the summer. 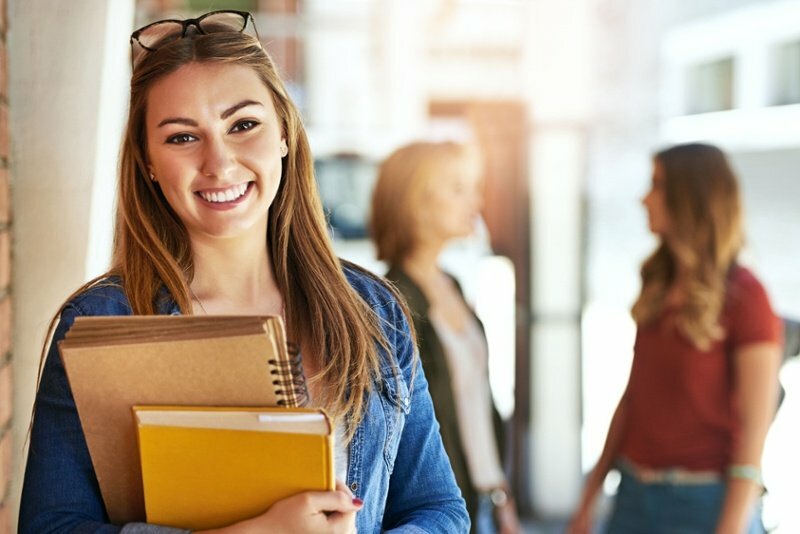 Doing well in these courses will make their application unique and demonstrate the dedication and ability to succeed in university-level coursework. Fill out the FAFSA and look for relevant scholarships. Figuring out how to finance a college education is one of the most stressful parts of the college application process. This is especially true if you don’t have a substantial college fund for your child. However, don’t worry, there are numerous resources that can help make financing a college education much less overwhelming. The first step is to fill out a Free Application for Federal Student Aid, or FAFSA, to ensure that you get all the federal aid that you’re eligible for. You should also ask each college about their specific financial aid opportunities. At Neumann University, for example, we offer many scholarships and grants to help offset the cost of tuition. Realize that a good GPA is important — but it’s not the only thing that matters! It’s common for parents to stress the significance of academics during high school. Although it is important for your child to keep up their GPA, grades aren’t the only significant factor at play in the college application process. Colleges and universities like to see students with well-rounded resumes: A successful applicant is often involved in extracurricular activities such as sports, music, volunteering, or tutoring. In sum, don’t discourage your child from their favorite hobbies because you’re worried that they won’t have enough time for test prep. Your student's unique interests are what will make their college resume different from all the others. Visiting campus is key to making the best choice. You can visit college campuses at any time, even when your child is a high school freshman. This way, you’ll be able to get a good idea of what you're both looking for in a college environment, so that choosing where to apply later on will be simpler. Campus visits can also be a great time to bond. Away from the chaos and stress of day-to-day life, you’ll have plenty of time to have in-depth talks about what your child wants from their college experience. Don’t worry if your child Hasn't chosen a Field of Study Yet. Many teenagers arrive at college still unsure of what their major will be. This can be concerning to parents, who may worry that their child isn’t fully committed to a career path. No need to worry: This study found that students who changed their major during college were actually more likely to graduate than students who decided right away! If your student has decided on a major but you think that the career plan is unrealistic, suggest the possibility of a double-major in order to pair their desired major with a more practical degree. After all, today’s job market is interdisciplinary and dynamic, so it’s very likely that your child will end up working in a different field than the one they studied in college. And lastly, get excited! Going away to college is an amazing experience; you should be proud! If you have any questions about applying to Neumann University, we invite you to request more information today! Are you interested in reading more tips and advice about helping your child prepare for college? Subscribe to our weekly blog — NeuDirections!